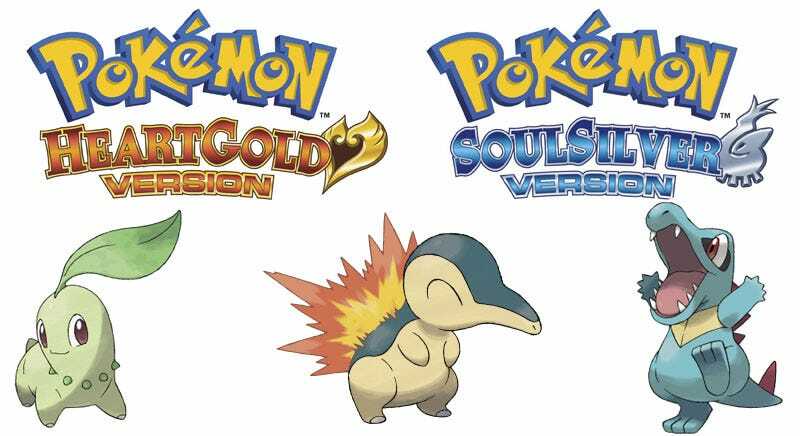 Due out in Japan next month, Nintendo has just announced a spring 2010 release target for the North American and European remakes of Pokémon Gold and Silver for the DS. Johto - I'm still in Johto. Pokémon HeartGold and SoulSilver, two of the most ridiculous names we've ever come across, are remakes of the original Pokémon Gold and Silver, with updated graphics and sound, touch screen features, and "a host of surprises." The announcement of the Western release was made during the opening of the 2009 Pokémon World Championships, which one would imagine is a pretty big deal to Pokémon fans. "Announcing these much-anticipated game launches at The Pokémon World Championships allows us to give the news directly to the legions of fans who represent the true heart and soul of Pokémon," said J.C. Smith, The Pokémon Company International's director of marketing, who made the announcement on stage to kick off the 2009 Pokémon World Championships. "We want to thank these loyal fans by revealing the details to them first." I generally pick up any Pokémon title Nintendo tosses my way reflexively, but they may have lost me here. I cannot buy anything with the words HeartGold or SoulSilver on it. It makes them sound like the type of Pokémon games Twilight characters would play.